Hundreds of thousands of people are expected to gather in San Jose this weekend for Silicon Valley Comic Con, a San Jose Sharks game and more. Ian Cull reports. Comic book fans in the Bay Area are rejoicing. 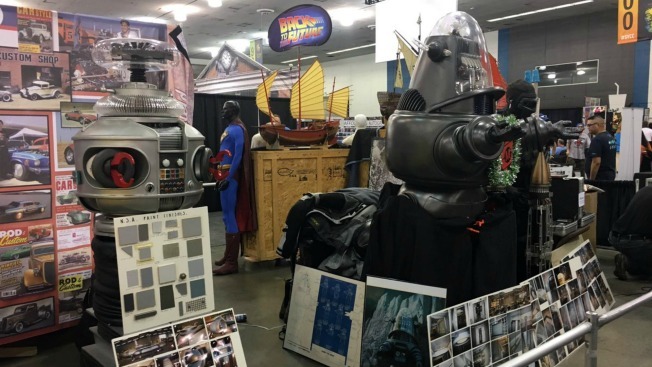 That's because Silicon Valley Comic Con returned to San Jose the second-consecutive year Friday afternoon. Folks on Friday were able to relieve science fiction memories in the form of recognizable vehicles used in famous movies such as "Batman," give a wave to R2-D2 from the legendary "Star Wars" series, and even catch a glimpse of Apple co-founder and Silicon Valley Comic Con organizer Steve Wozniak cruising by on a Segway, much to the delight of fans. "I'm excited," Lindsay Platoshyn of San Jose said. "I call (Comic Con) a nerd frat party because all the nerds come together and you have so much fun. It's in the air." Comic book fans in the Bay Area are rejoicing. 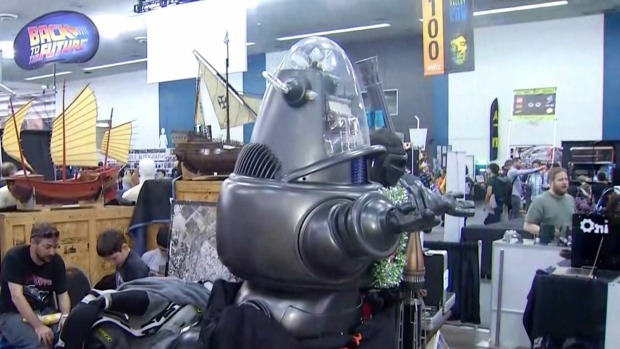 That's because Silicon Valley Comic Con returned to San Jose the second-consecutive year Friday afternoon. Scott Budman reports. Notable celebrity guests throughout the weekend include Steven Yuen from AMC's "The Walking Dead," Grant Gustin from CW's "The Flash," former astronaut Buzz Aldrin and actor William Shatner. Adam Savage, Tory Belleci and Kari Byron formerly of "Mythbusters" will also be in attendance. Fans of superheroes, science fiction and fantasy across the Bay Area in the past had been forced to travel out of the area if they wished to attend to Comic Con shows, but Wozniak changed that last year. He finally managed to transform downtown San Jose into a geek paradise. Silicon Valley Comic Con isn't the only high-profile event in San Jose over the weekend. The San Jose Sharks on Saturday will host a do-or-die Game 6 in their first round playoff series. The SoFa Street Fair on Sunday will also welcome thousands more for a bi-annual festival. The busy weekend is expected to draw roughly 140,000 visitors to the south bay city.